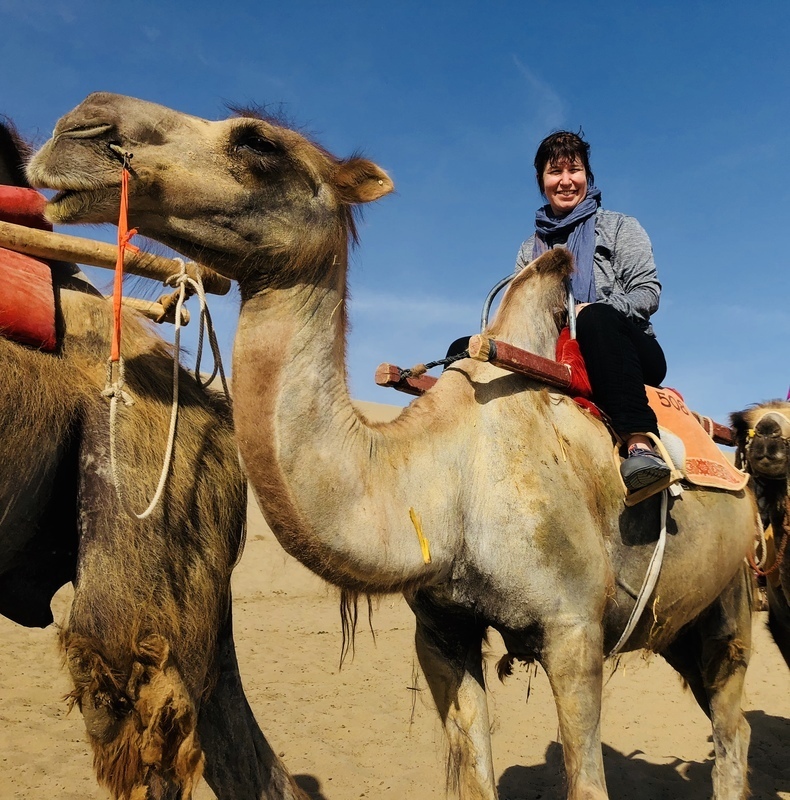 We recently returned from an 18 day trek across China which included riding camels in the Gobi desert! 1) Make sure the body has cooled down before doing Gua Sha – if the body is very hot and clammy, the skin does not take well to Gua Sha. You risk “tearing” the skin even with fairly light Gua Sha. Find a cool, dry area to do the procedure, and wait until the person’s skin has dried a bit. Be especially careful if the person’s skin looks translucent. 2) Make sure the person isn’t dehydrated. If they are, have them drink water and cool down before doing Gua Sha. 3) The primary area you will want to do is the back of the neck and upper back. Also, if the person has a headache, you can go down the back of the head (instead of the customary upward motion on the back of the head). This helps release the pressure in the head. 4) Pay special attention not to do Gua Sha in a windy area if you’re outside or near a fan or air conditioning if you’re inside. This is a general rule due to the affects of “wind” on the body. Wind can cause pain and illness, and Gua Sha opens the pores and makes people more vulnerable to wind. 5) After Gua Sha, have the person get plenty of rest and drink lots of water. Gua Sha saved us several times when we were in the desert. If you only take one healing tool when you travel, I recommend taking your spoon with you this summer in the hot, hot weather wherever you go!